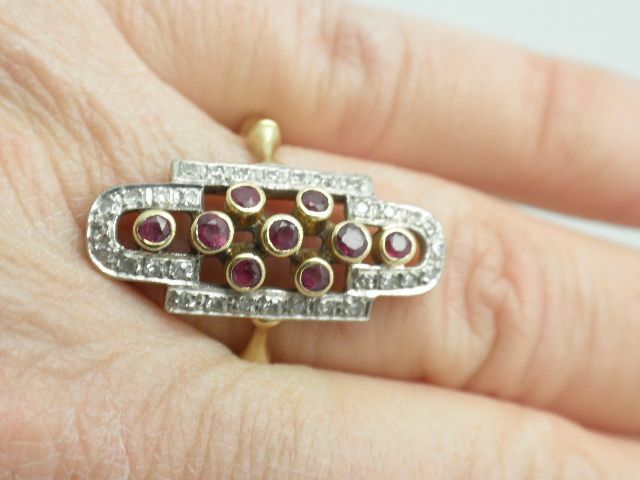 Fabulous vintage 18K yellow gold vintage Faberge copy ring. 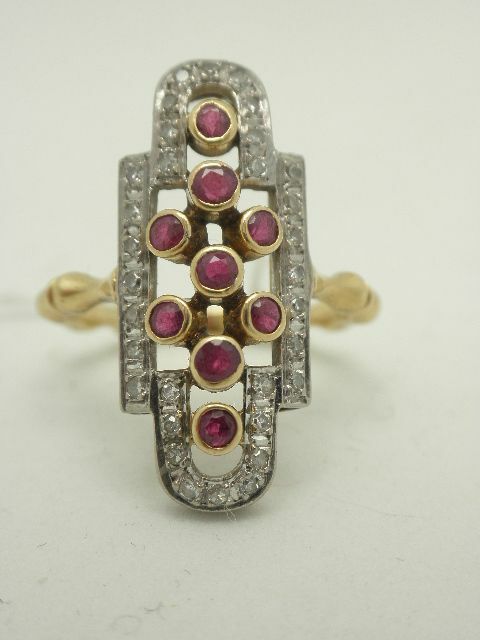 The actual design is from Faberge recreated in the early 20th century by an Italian firm. 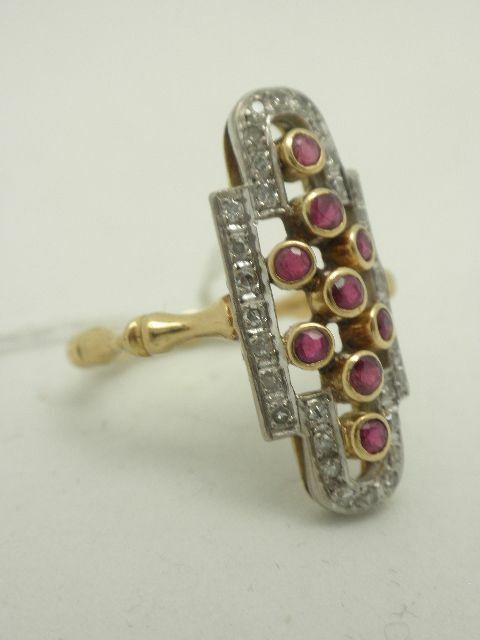 The ring is bezel set with genuine rubies center and framed with pave brilliant cut diamonds. The shank of the ring is a continuous bamboo motiff. 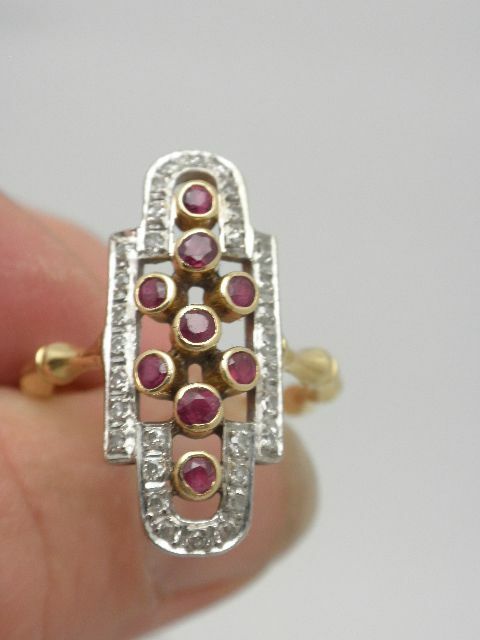 the ring measures 1" long by 1/2"wide . The ring weighs a sturdy 5.8 grams 18K gold , and is a finger size of 8.